I’ve counted up using the same criteria as with the writers, only this time covers come into play, too. 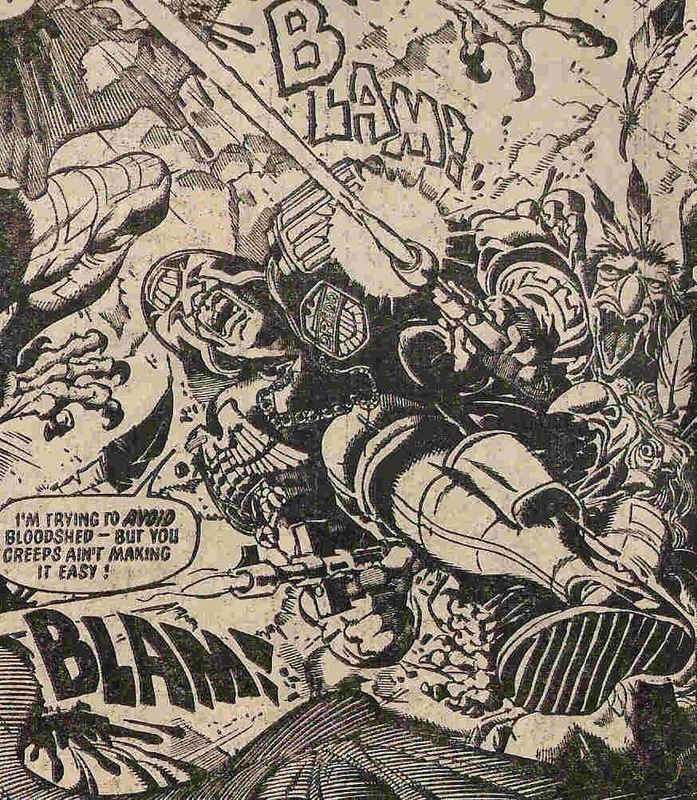 I’m including in this count covers / star scans that relate to the Judge Dredd story inside the Prog/Meg, even if Dredd himself does not feature. 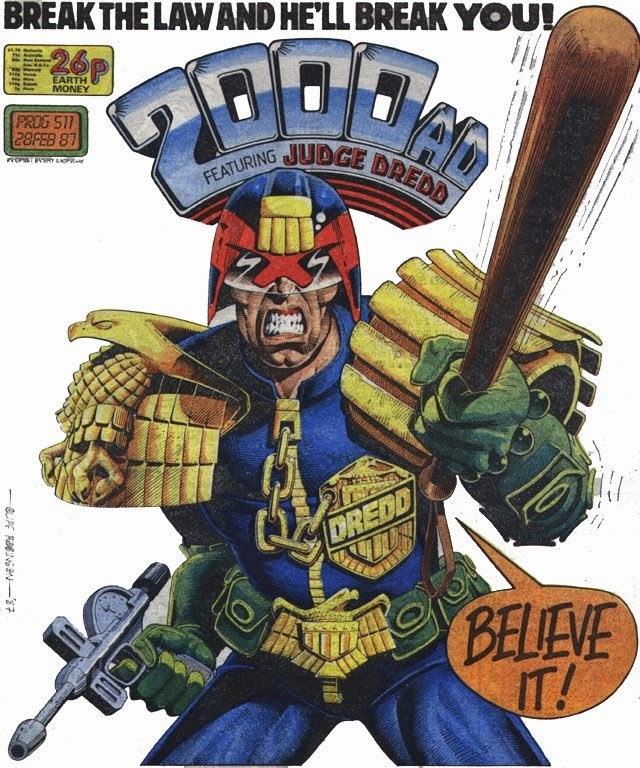 I’m also including covers that feature Dredd prominently as part of a general 2000AD ensemble. 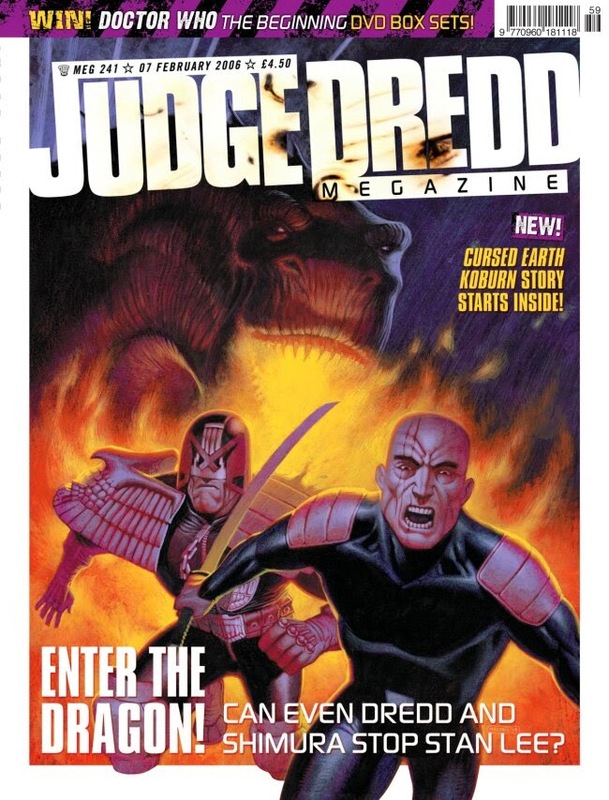 I’m also including all-new covers that were used on reprints (but not reprinted covers) directly produced by the House of Tharg - 2000AD monthly, Classic Judge Dredd etc, and, this time around, that includes the audio dramas and in-house novels. 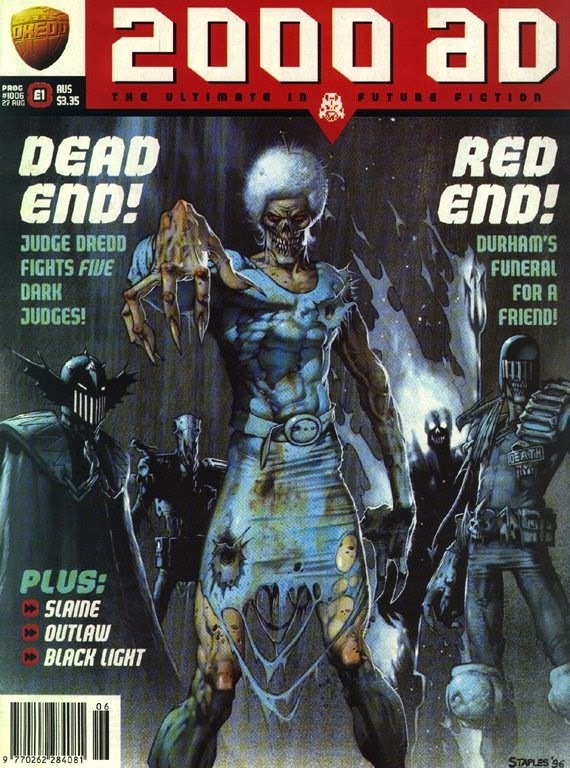 Covers produced for the Titan comics reprint collections, and covers designed for the US market (i.e. Quality comics) are listed in brackets. it doesn't count towards MacNeil's total. Enough with the pre-amble. 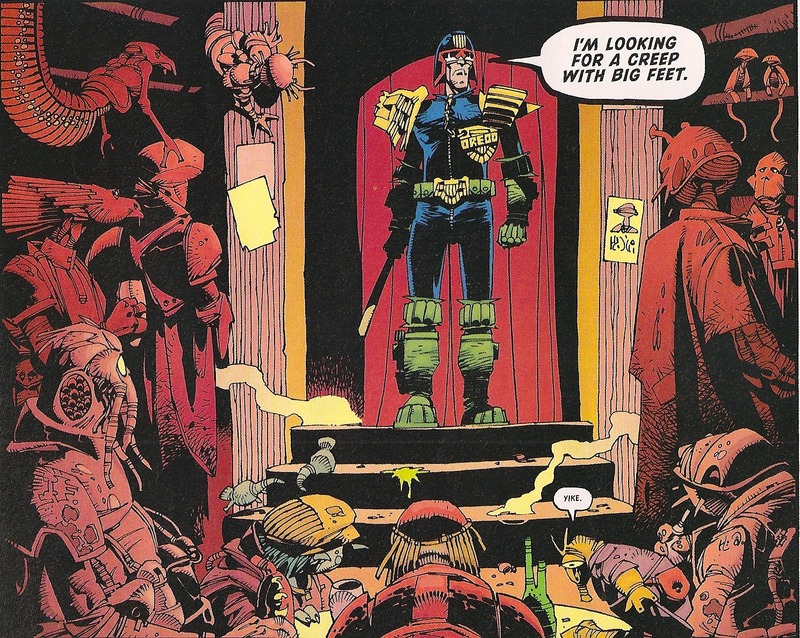 Who are the top 10 Judge Dredd artists (by volume)? Total 1 is straightforward: stories + ‘normal’ covers, and does not including the newspaper strips. *Got to draw a line somewhere. 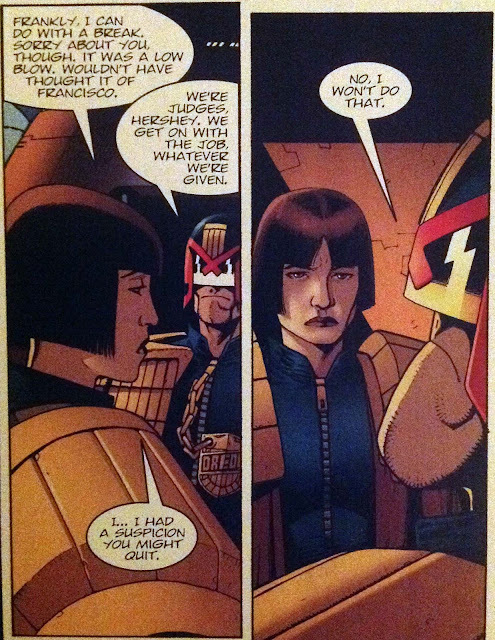 I’m drawing it at stories that ran under the banner ‘Judge Dredd’ – basically the same criteria begin used to include stories in the Case Files/Restricted Files range, which is more selective than the Mega-Collection range. I am including the first ‘America’, though, because come ON. 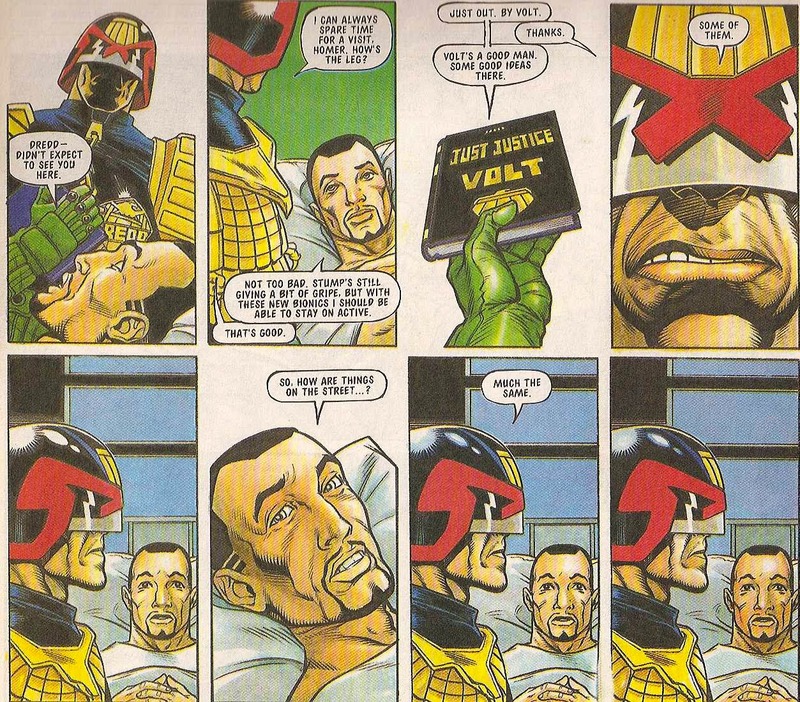 That is a Judge Dredd story through and through. 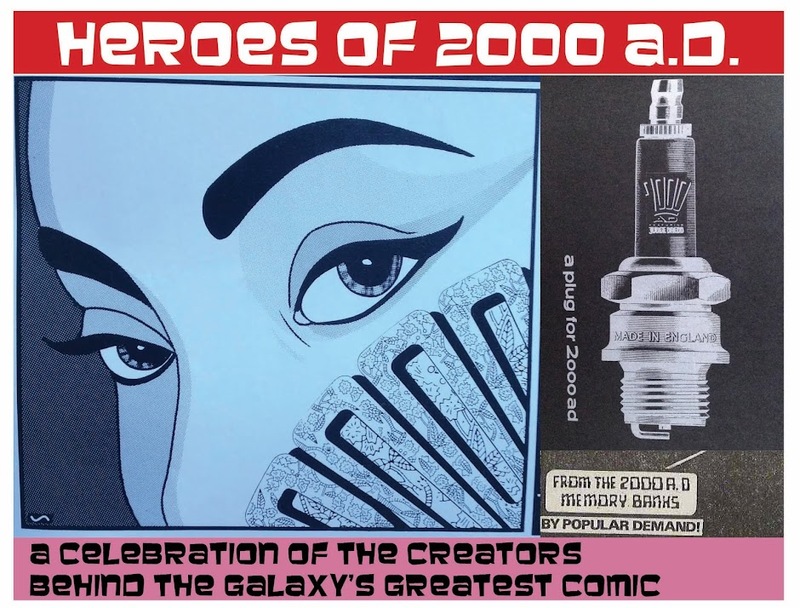 ***So no Kevin O’Neill, no David Roach, no John Cooper, no Frank Quitely among many others. 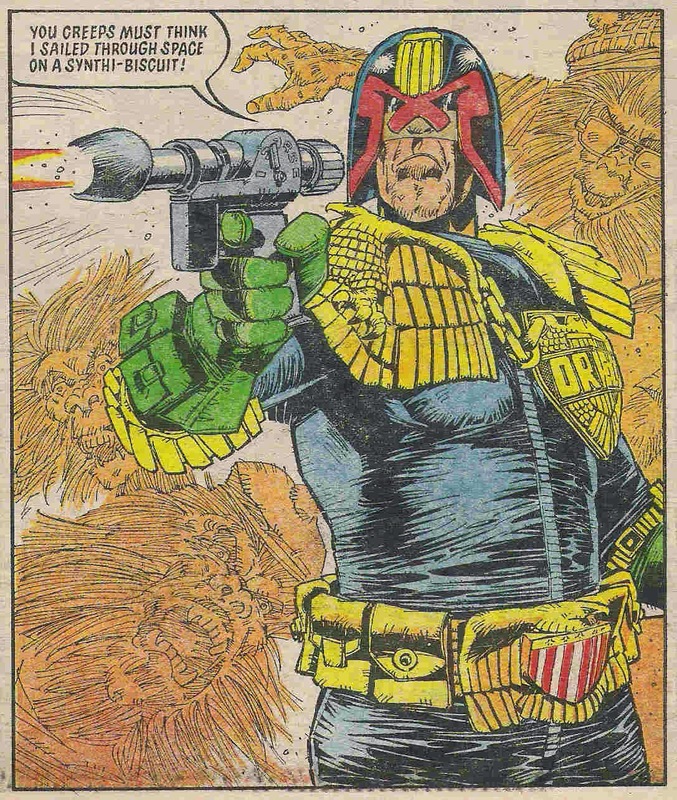 *****Poor Carlos Pino never drew a ‘proper’ Dredd episode for the Prog, but did slog his way through the Mark Millar / Alan McKenzie years at the end of the Daily Star Dredd era. 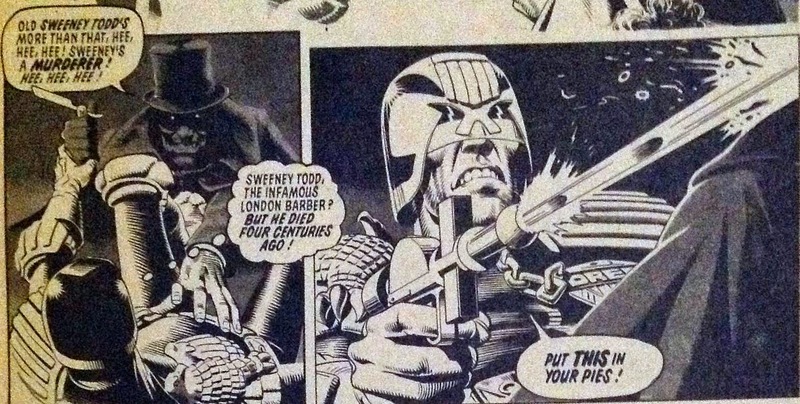 I’ve never seen one of these episodes, but am curious to see Pino’s take on Dredd.